All Iron Grip Olympic Bars are manufactured in the U.S.A. in our own onsite facility, from heat-treated, turned, ground and polished steel, developed specifically for use in Olympic bars. They feature machined steel sleeves with exceptionally slick, product-specific bearings and bushings. The integrated collars are attached to the bar using our proprietary design, to ensure maximum durability. Iron Grip’s industrial chrome finish is extremely abrasion-resistant, and will not chip, flake, or peel. 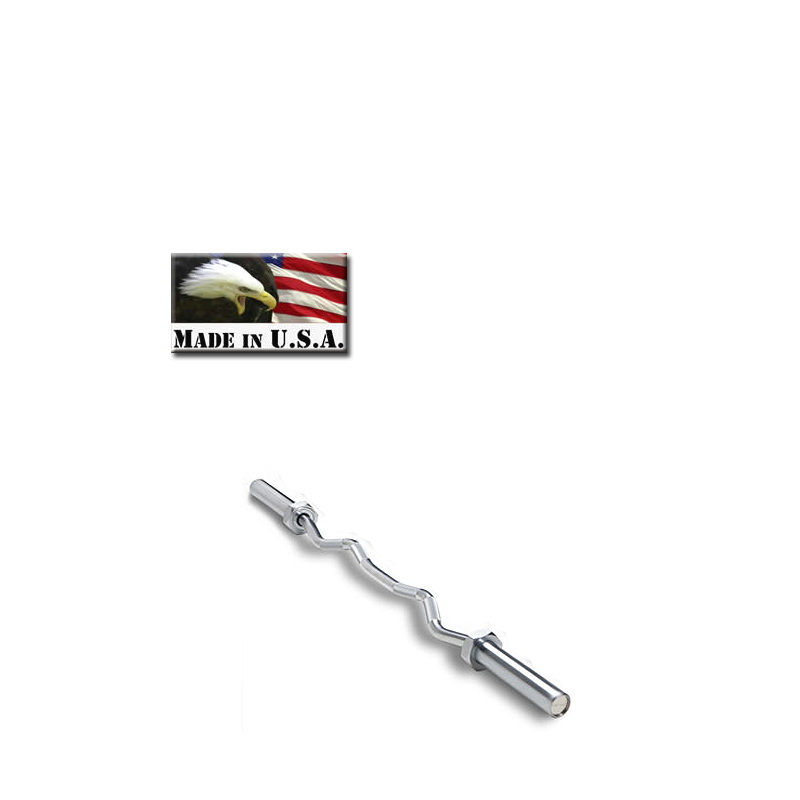 All bars feature comfortable, medium diamond knurling for a safe and secure grip. Our oversized 54" EZ-Curl bar fits on most racks, stands, and curl benches.